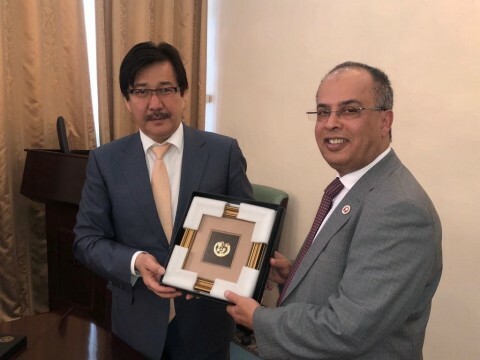 In the spirit of fostering a close international relationship between the Republic of Kazakhstan and the United Arab Emirates, developing bilateral relations in educational and scientific fields, and wishing to make their own contributions to the development of cooperation between the two institutions, AURAK and the Al-Farabi Kazakh National University signed an MoU. The memorandum of understanding aims to promote educational and scientific cooperation, which would be facilitated through the exchange of students and faculty, as well as collaboration in research. The newly-signed agreement also provides a basis for cultural exchange between the United Arab Emirates and the Republic of Kazakhstan, as well as the possibility for even closer academic ties between the two institutions, through dual degree programs.